On September 28, 2018, the Bureau of Safety and Environmental Enforcement (“BSEE”), an agency of the U.S. Department of the Interior (“DOI”), released a final rule amending its oil and gas production safety systems regulations, found at 30 C.F.R. part 250, subpart H (the “Revised PSSR” or “Rule”). The Rule amends production safety systems regulations that, prior to 2016, had not been updated in over 30 years. The Revised PSSR follows the agency’s regulatory review under Executive Order 13783, “Promoting Energy Independence and Economic Growth,” and Executive Order 13795, “Implementing an America-First Offshore Energy Strategy,” and is intended to reduce unnecessary regulatory burdens in order to promote domestic offshore oil and gas production, while simultaneously ensuring environmental protection and worker safety. This Alert provides a brief history of events leading to BSEE’s Revised PSSR, outlines the most significant changes in the Revised PSSR, and explores potential next steps in regulatory reforms by DOI. On September 7, 2016, DOI released the Production Safety Systems final rule (“2016 PSSR”), which revised BSEE’s part 250, subpart H regulations and addressed production safety systems, subsurface safety devices, and safety device testing. On November 7, 2016, most of the provisions from this rule went into effect. Although the 2016 PSSR was enacted in the years following the Deepwater Horizon (“DWH”) explosion and oil spill, the changes in that rule were not dictated by findings resulting from the various investigations and recommendations following that incident. The loss of life and environmental catastrophe that followed the blowout at the Macondo well and explosions and fire on the DWH were the result of the loss of control of a well during drilling operations. 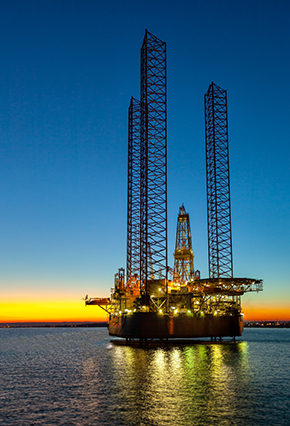 A number of the DOI/BSEE reforms following DWH addressed safety during drilling and/or the safety culture in companies conducting offshore operations. Among the regulatory changes arising incident to DWH was BSEE’s 2016 Well Control Rule, a comprehensive set of reforms aimed at driving down operational risks during offshore drilling operations. The 2016 PSSR, on the other hand, was an effort by BSEE to modernize its approach to regulating production safety system equipment. While there are inherent safety and environmental risks associated with offshore oil and gas production, those risks are generally different from the risks during drilling operations. The 2016 PSSR included revisions that the agency deemed necessary to address equipment and component developments that occurred in production safety systems over the 30 years since the agency had last updated its regulations governing these issues. In 2017, following the issuance of Executive Orders 13783 and 13795 and related DOI guidance, and armed with only a year’s (or less) worth of data on the effectiveness of and costs associated with the 2016 PSSR, BSEE began exploring potential revisions to the 2016 PSSR. According to BSEE, after the 2016 PSSR was implemented, industry participants claimed that certain provisions in the 2016 PSSR were “unduly burdensome” and did not meaningfully improve worker safety or environmental protection. In response, BSEE worked to revise the 2016 PSSR and released a draft Revised PSSR on December 29, 2017. After consideration of 733 separate sets of comments, BSEE issued the final Revised PSSR on September 28, 2018. The Revised PSSR deletes or revises 84 of the 484 provisions in the 2016 PSSR. The Revised PSSR also adds seven new provisions. revises the requirements for operators to provide certain documents to BSEE and/or to update existing documents. BSEE estimates that the Revised PSSR will result in cost savings to offshore operators of approximately $13 million per year. According to BSEE, the largest contributor to these cost savings is the revisions to the requirement to have a professional engineer certify and stamp production safety system modification documents, with elimination of third party reviews and certifications for certain SPPE also providing substantial cost savings. The Revised PSSR becomes effective on December 27, 2018. At this point, it is not clear whether it will be challenged in court. A number of organizations have criticized the Rule, calling it a roll-back of critical, post-DWH reforms. In reality, however, this rulemaking appears to be more fine-tuning than wholesale regulatory rollback. Given the highly technical nature of the rulemaking and the apparent adherence by BSEE to rulemaking process requirements, the chances of successful challenge appear to be relatively remote. Potentially more meaningful and controversial offshore regulatory reforms are on the horizon for DOI, including revisions to the Well Control Rule and a rulemaking regarding financial assurance requirements. On May 11, 2018, BSEE released proposed changes to the Well Control Rule, and the comment period closed on August 6, 2018. Industry and other stakeholders will be watching closely to see whether BSEE moves forward with the rollback of post DWH reforms that sought to improve the safety of drilling operations. DOI also has stated that it will, through the Bureau of Ocean Energy Management, issue a new rule that will clarify the requirements for offshore operators to maintain adequate financial assurance to cover decommissioning obligations. Industry has been divided on financial assurance policies and it will bear watching how these different views are considered in any future rulemaking. If you would like more information about the implementation of the Revised PSSR, please contact Mike Farber, Jonathan Simon, or Scott Nuzum in Washington, D.C. at (202) 298-1800.